Join Now & Pay Nothing for 30 days! We all know that Summer bodies are made in Winter, so now is the time to get started on that Summer body. If you are not yet a member of our fabulous little community health club with our tremendous trainers & magnificent members… then what are you waiting for? If you are already a member, then you know how much fun we have and surely you have friends or family members that you want as a training buddy. Jump on board in June with any 12 month pay-as-you-go membership and SAVE over $200 by avoiding the joining fee and not paying for membership until 30 days after you get started. Call now on 6658 6222 or email lee@coffscoasthc.com.au to book in and get started as we only have 50 of these special offer memberships available. Its Tax Time! Shout your Staff a Corporate (Tax Deductible) Massage! At Coffs Coast Health Club our Massage Therapist can come to your Workplace to help reduce mental and physical fatigue, promote muscle recovery and sharpen focus for you and your staff! Our Corporate Massage is normally performed using our seated massage chair, fully clothed for 15-20 minutes per person. Mid year staff bonus plus a tax deduction! Win Win for everyone! Please contact Jacqui on 0421 971 155 or our CCHC Massage Therapist for costing and more information on 6658 6222. Super Saturday – New Les Mills Classes Launch! Be the first to launch and experience the latest releases from Les Mills for PUMP, ATTACK, RPM and BALANCE, all on one big morning of motivation! This Super Saturday is extra special as we are raising money for Eve Guy. Eve is the 9 year old daughter of Rebecca who works for the Club in childminding. Eve has been diagnosed with bone cancer and is currently in Sydney undergoing chemotherapy and surgery. Please bring along a gold coin donation for Eve as well as your family and friends as the more people we have the more money we can raise for the family. Eve loves rainbows and she chose the theme for the launches. We would love to send her some bright and happy photos of us all doing our bit to help her out! So come dressed in your best Rainbow themed gear and you just may WIN A PRIZE! Sugar Busters Program is Now Available! A spoonful of sugar may help the medicine go down but it isn’t at all beneficial for your waistline especially when you discover how many hidden sugars there are in your diet. The Healthy Inspirations team can now offer you a 4 week Sugar Busters program for $149 (EVEN LESS if you are already a health club member!) This includes 4 weeks access to all health club facilities, weekly 1:1 Sugar Buster Coaching Sessions, weekly Sugar Buster Phone Consults and your Sugar Buster Resource Kit! Speak to Simone, Leslie or Jenny from the Healthy Inspirations Team or call them on 6658 6222 to get started. Are the hidden sugars stopping your weight loss? 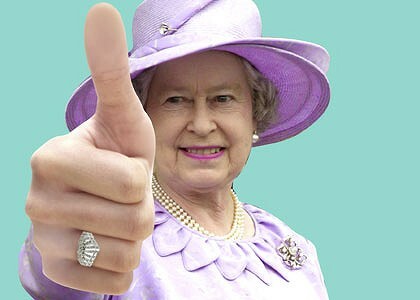 Enjoy your Queen’s Birthday Public Holiday, experience the great outdoors & spend some quality time with quality people on Monday 8th June, as the gym will be closed. However there are no excuses for missing your workout on Sunday 7th June between 3.00pm – 6.00pm or Tuesday 9th June between 5.30am – 8.00pm as we will be OPEN and fully operational with all classes and childminding. Whats small group personal training you ask? Small group personal training is a group of more than 1 and no more than 7. So you and up to 6 of your besties could get together and have group personal training sessions! · Fitness and Fun for everyone – best combination ever! So grab your work colleagues? Grab your best friends? Grab your family or randoms off the street and get started today! Organise your Personal Trainer through reception on 66586 222 or call Glen on 0411 037 097. Eve is the 9 year old daughter of Rebecca Guy who works at Coffs Coast Health Club in childminding. Eve has recently been diagnosed with bone cancer and is currently in Sydney receiving chemotherapy and will require extensive surgery. Rebecca and Eve will have to stay in Sydney for treatment for at least the next 6 months which is obviously very hard on the rest of the family. The long term prognosis for Eve is unknown at this stage and they need all the help and support that we can give them. 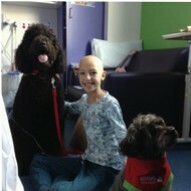 Eve is pictured here in hospital receiving a visit from two ‘pets as therapy’ dogs. She is trying to remain as positive as possible and is enjoying her visits from these gorgeous furry friends. You can help out the Guy family simply by purchasing raffle tickets at reception for your chance to win a FABULOUS hamper filled with fantastic items. Tickets are $1 each and the raffle will be drawn at the Super Saturday launch event on Saturday 20th June 2015. Please buy generously – Good Luck!! Do you love fitness? Do you love helping people? Do you want to learn more about optimal health? If so, then join the real educator in fitness and start your new career in one of the fastest growing industries in the world! Only 17 more sleeps until the next course starts! Get qualified and learn in the regions most awarded health club, from the regions most experienced personal trainers. Our very own Duncan Marchant is taking applications right now and with ONLY 3 spots left in the June course, your time is running out to turn your dream into reality. Whole Food Supplement Set on Sale for June! We know that everyone is different. Different allergies, different taste buds, different specific conditions, that’s why we are so excited to offer something we think benefits EVERYONE! Strolling down the supplement aisle can be overwhelming, complicated and confusing. There are so many supplements out there, how do you know which ones to take? Which ones are high-quality? Which ones actually work? We hear your concerns. This is why we created the Core 4 Complete whole food supplement set. We’ve taken the confusion out of nutrition and made it easy to get healthy and stay healthy with yummy, complete nutrition shakes that can easily be added to any routine. All the nutrients your body needs are in this whole food supplement set. Simply have one complete nutrition drink in the morning, one in the afternoon, and you’re done! All supplements at Coffs Coast Health Club are Discounted for the month of June, just like the Core 4. 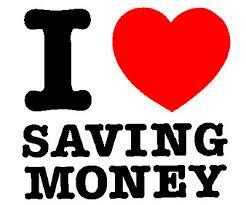 Grab a bargain before tax time and experience the difference. The weather has already cooled down so now is the time to update your NEW Winter wardrobe. To celebrate the start of the hibernation period we are now offering 20% OFF our entire Winter range including hoodies and long compression gear! SAVE 20% off the entire Winter Range! Remember the best things go first, so hurry in before Winter does. See your friendly Reception team to find out more. Hurry while stocks last! Bupa is Changing Local Lives for the Better! At Bupa in Coffs Harbour we want all our members to live longer, healthier, happier lives. We are part of a global healthcare family whose expertise stretches across 190 countries; but it is our purpose that makes us different. Personalised access to Bupa Beginnings – your online pregnancy guide, taking you through your pregnancy journey, understanding costs and your care options. Using our healthcare expertise we aim to provide you with the best advice, support, care. We have a range of healthcare services to help you live a healthier life. Not just when you’re unwell but when you’re absolutely fine too. Bupa Coffs Harbour is located at Shop 28 inside the Park Beach Plaza. Click here www.coffscoasthc.com.au for more information on membership, personal training, weight loss, massage therapy, rehabilitation, group exercise, childminding, privileges card & fitness careers or call us on 6658 6222 for more help. Humans are by nature social creatures, which is why most people take to group exercises like duck to water. Exercising in a group has been around for generations. Some people generally find it difficult to exercise or train by themselves as they feel much happier and are more comfortable in a group environment where everyone has like-minded goals. The energy and team effort to push and encourage each other is also a motivational factor, and the idea of everyone starting a group exercise session and then finishing it together brings with it an overwhelming sense of achievement. Social interaction, connection and engagement through group exercise acts as a great character building exercise as the benchmarks are usually set by people who are fitter or stronger than you. This forces one to push beyond one’s accepted limits and abilities. Exercising with like-minded individuals can lead to life changing relationships. Additionally working in a group ensures members provide support to each other and are also accountable to each other. It also lends structure and a sense of play to exercise. The biggest benefit is that of being able to tune out the day-to-day stresses relating to work or otherwise and just unwinding in a healthful manner in the company of friends. One of the biggest worries people have with group exercise is that they will not get the required attention of the instructor as it is divided between so many people. Nothing could be further from the truth. Instructors in today’s group exercise world are trained to coach classes comprising a large number of people. Training a group is almost like an art form, as one has to cater to the physical abilities of a range of people – those who are beginners and those who have been exercising for a few years. In all my years as a group exercise instructor, I have never experienced a divide between the instructor and a member from lack of communication or connection. We have always maintained safety and had fun while exercising. Will technique get sacrificed in the pursuit of attracting more students? Again, ‘No!’ Group exercises usually start with a 15-minutes or express induction classes that focus purely on technique. This is one way to keep group classes safe and user-friendly. Additionally, instructors of these group classes are themselves trained by world-class assessors to perfect their own technique. A technique test that meets global standard has to be passed before an instructor can teach group classes. This is why it is important to train individually or as a part of a group with qualified fitness experts. How big can a class get? Funnily enough, there is NO number big enough not to have group exercise classes. Qualified trainers have trained up to 7,000 people at a time – the Guinness Book of Records I think stands at 9’000 plus. But when not chasing Guinness records, most fitness clubs can hold up to 60 to 80 people in a class. The biggest class I have personally taught had 3,000 people and it was a fun and stimulating experience. It’s a great idea for friends to be exercising together but a healthy rivalry is always going to occur no matter what. For example, two friends who have decided to enter a group training session will have personal fitness standards but will try to do better than each other. However, they will also share a camaraderie that ensures that they support and help each other improve their own performance. You are currently browsing the archives for the Quarterly Launches category.